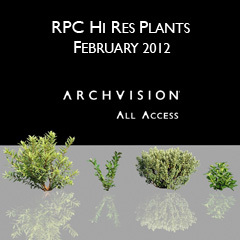 As February draws to a close, we at ArchVision make way for Spring with the addition of 4 vivacious new plants. 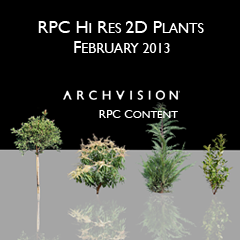 This RPC collection features Outdoor Plant, Outdoor Plant , Outdoor Plant  and Shrub . These are a perfect addition to any outdoor rendering.